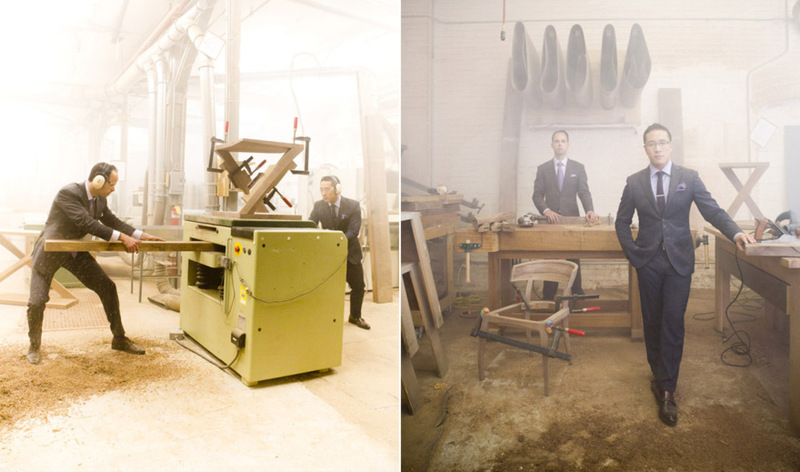 For 2013, one of our most-trafficked furniture stories was a check-in with Hellman-Chang, the Brooklyn-based duo that's Bringing the Glamour Back into Furniture Design. Dan Hellman and Eric Chang are Core77 faves, as we've watched them achieve, in less than ten years, what much larger furniture groups have literally taken generations to reach. And they've also managed to accomplish some industry firsts, as we heard in a follow-up video, " From Small Shop to Big Time, from Small Screen to Big Screen." 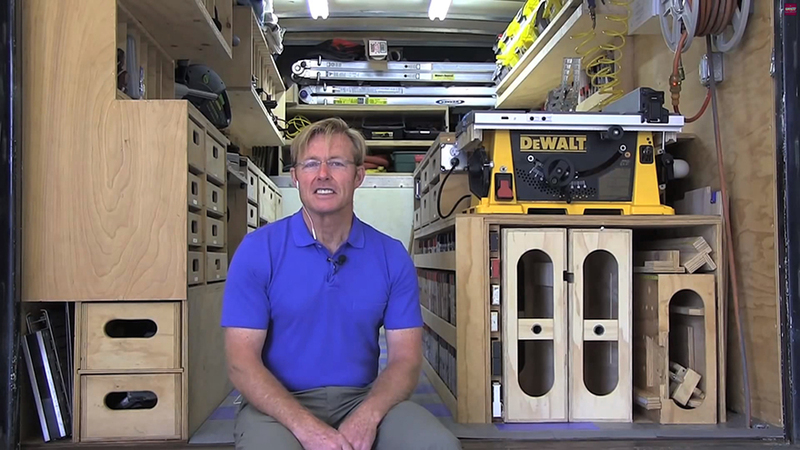 Across the country in Washington State, we heard from a creator of very different types of furniture. 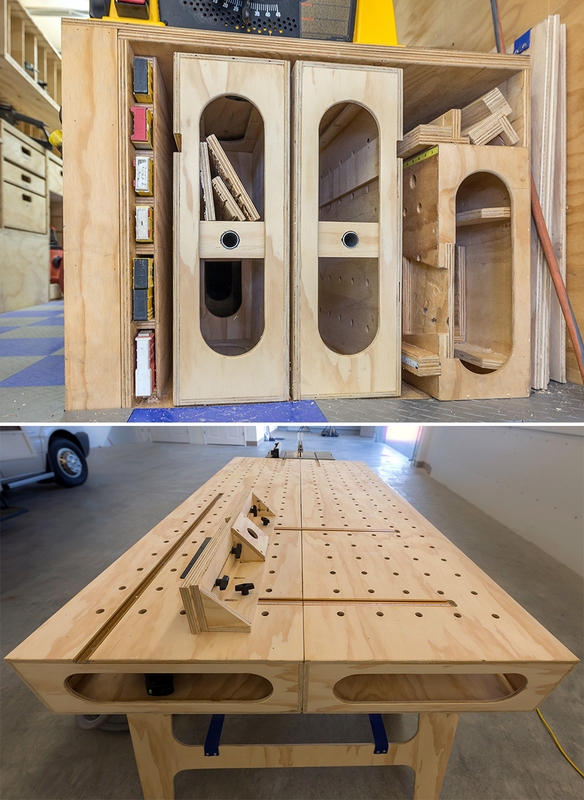 Homebuilder Ron Paulk not only told us all about his amazing mobile woodshop, but gave us the story of how he'd created an accidental product design hit with his Paulk Workbench (the plans for which can be ordered here). South of Washington is Oregon, home to not only Core77's Hand-Eye Supply, but the University of Oregon's Product Design Department. Core77 was on the jury for their Wilsonart-sponsored chair design competition, and the results, which traveled to the ICFF in New York, were a big hit with readers. 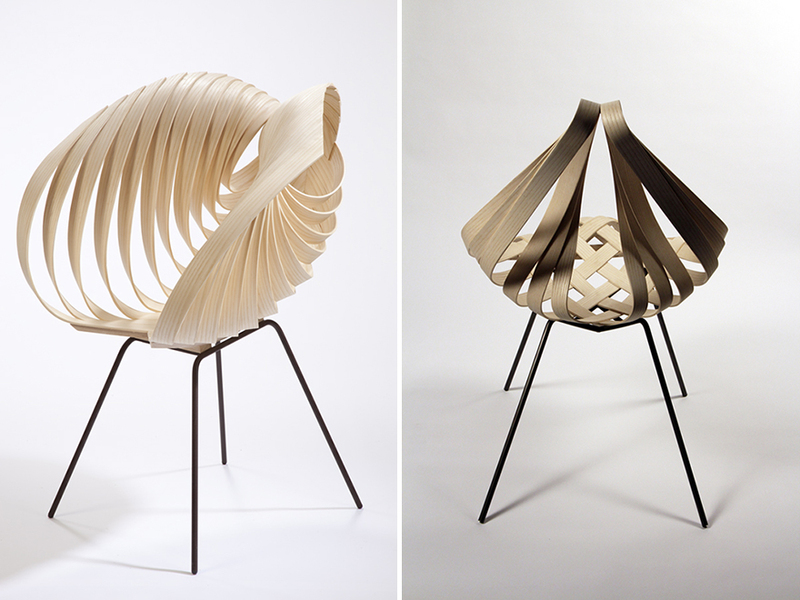 Another body of student work that deservedly drew many eyeballs was Laura Kishimoto's Origami-Inspired Furniture Design. 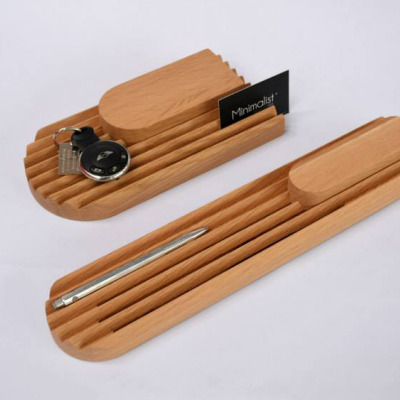 Though she's graduated by now, the then-RISD-Furniture-Design-senior produced a stunning line of chairs and cabinets by using math and geometry to push the boundaries of laminates. One of you design firm owners had better snap Kishimoto up before she's off the market. 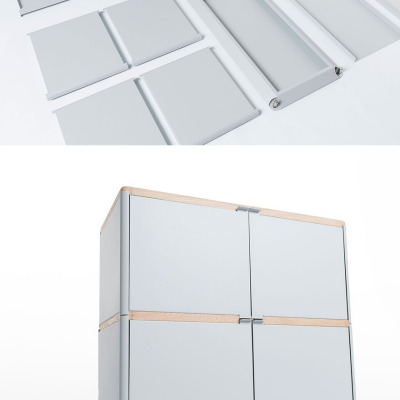 Moving on to desks, we saw two different designs that featured rain-gutter-like storage along their perimeters: Switzerland-based Tomas Kral's Homework Desk, followed by Copenhagen-based Design Studio Etc.Etc. 's My Writing Desk. 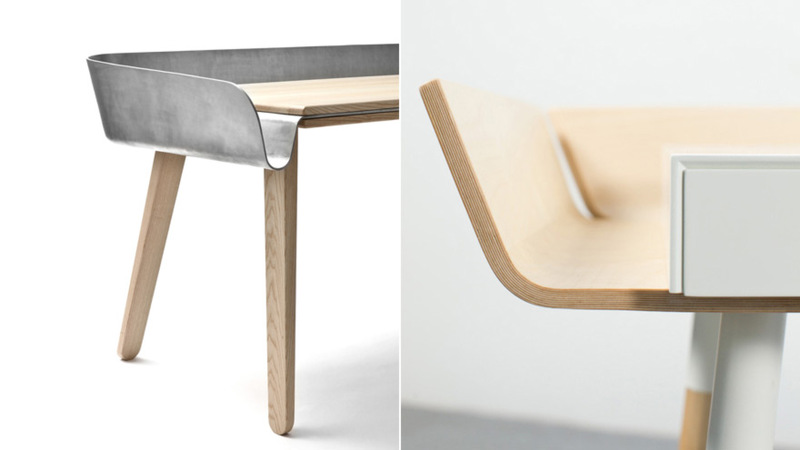 The "wings" on Kral's creation are cast aluminum, whereas DSEE's are bent plywood, but both designs offer the same utility and a nice, clean worksurface. 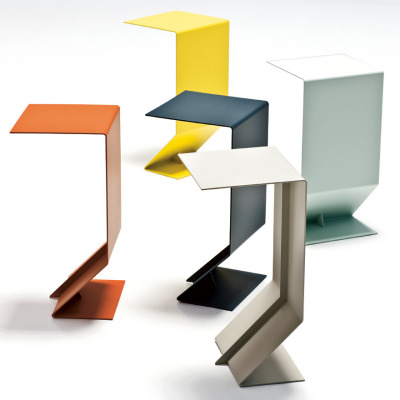 On the furniture design research front, it was a global posture study done by Steelcase that took home the high-traffic prize. Since your parents couldn't be bothered to spring for ballet classes and we now spend a lot of time staring into differently-sized glass rectangles, our bodies appear to be melting into unconventional and unergonomic positions; Steelcase observed some 2,000 folks spread over 11 countries and "uncovered nine new postures as a result of new technologies and new behaviors." Is that it for Furniture Design? Of course not. 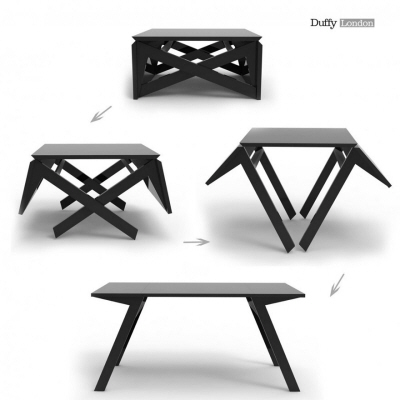 Coming up next we'll take a look at this year's big hits in space-saving, transformable, and "extreme" furniture.